Equipment: LX200 Meade, Alt-AZ Mount. Nikon D40 DSLR. Orion Starshoot Color. This page shows off some of Doug's photography with his new digital equipment. M31, the Andromeda Galaxy is easily seen with binoculars or small telescopes. It is one of our close neighboring galaxies. It is about 2.5 Million LY away in the constellation Andromeda. 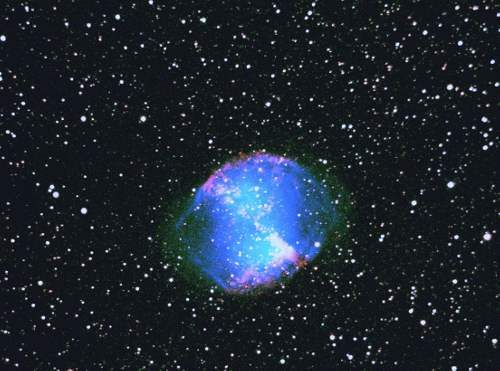 M27, the Dumbell Nebula is easily seen with binoculars or small telescopes. 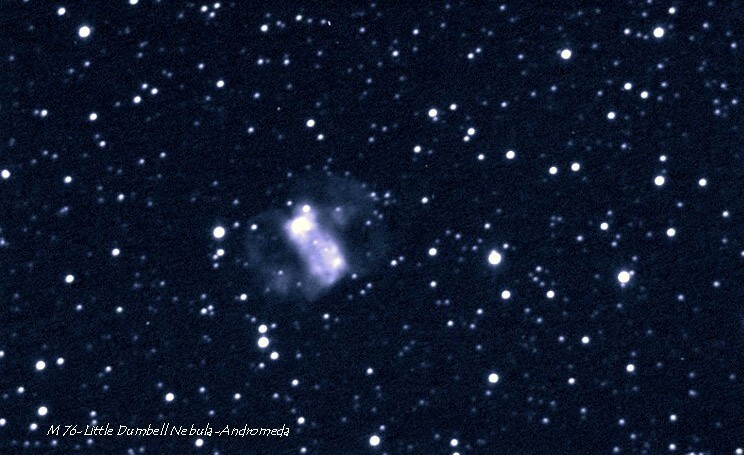 It is a planetary nebula formed from the explosion of a star. It is about 1360 LY away in the constellation Vulpecula. The Swan Nebula, also known as the Omega Nebula lies in Sagittarius. It can be seen as a small object with the naked eye. It was discovered by Philippe Loys de Chéseaux in 1745. Charles Messier catalogued it in 1764. It is about 15K to 16K LY away. M76 is also known as the Little Dumbell. It is a smaller version of M27. It is located in Perseus. 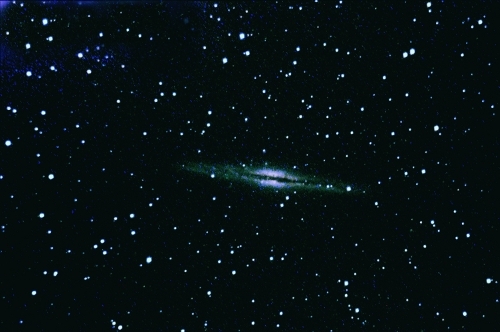 Two different image of NGC 891 are below. NGC 891 is an edge on galaxy located in Andromeda. 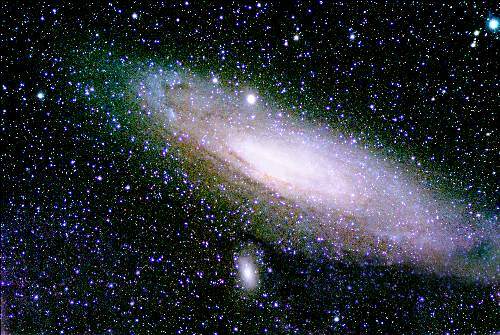 It is much farther than M31 at nearly 30 Million LY away. The dust lane cutting through the edge makes this galaxy a nice object to see. From Doug's backyard observatory. 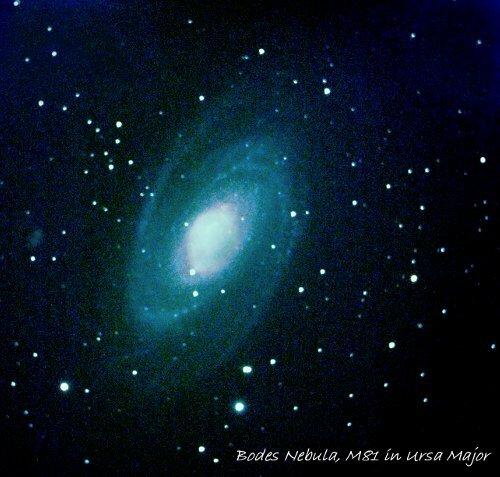 The above Bodes Nebula, M81 can be seen with M82 in a low power eyepiece. From one of Doug's avcations.